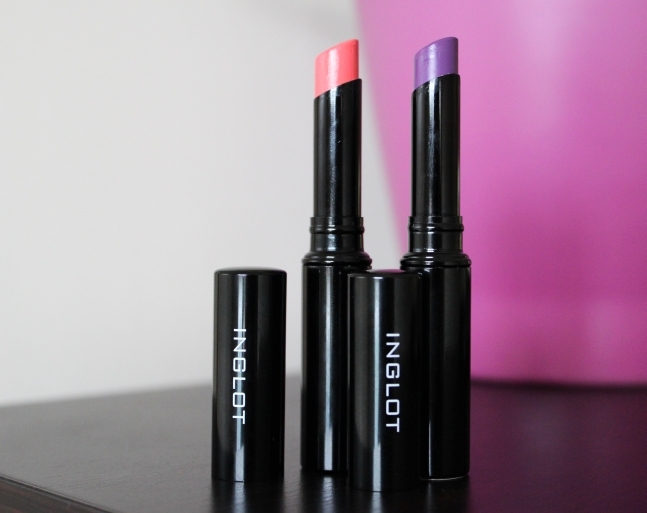 Coral & Purple Lips: Inglot Slim Gel Lipsticks Review! 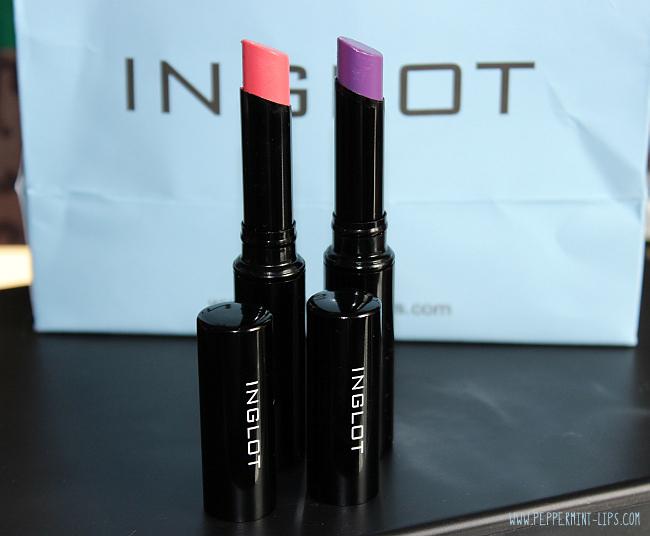 I got back from my recent visit to INGLOT store with bag full of new cosmetics and among them were these two Slim Gel lipsticks in shade 40 (coral) and 65 (purple). 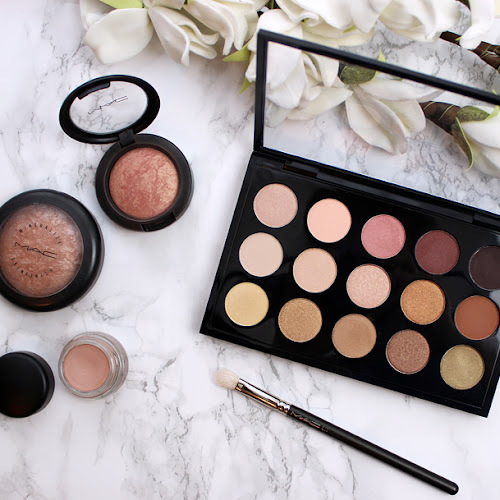 The first thing that made me check them out was the pretty, slim and elegant packaging. 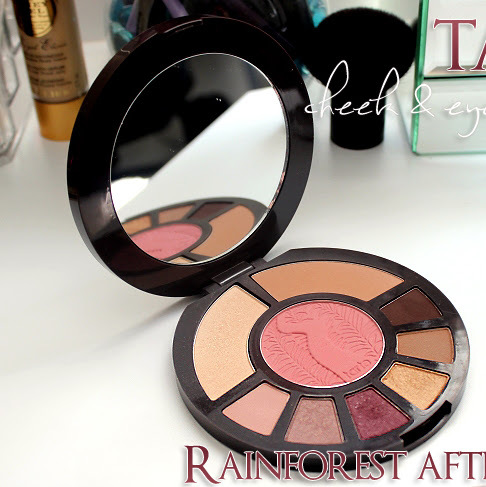 I was looking for fun colors for Summer (like constantly, lately lol ), so coral and purple shade sounded just right. 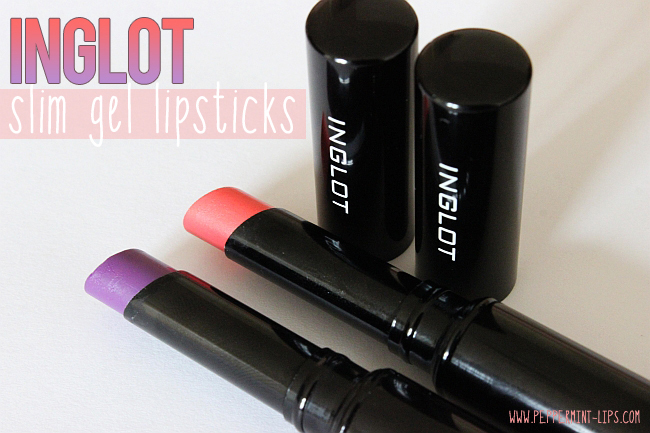 I've never tried the regular INGLOT lipsticks, but I am a huge fan of these Slim Gel ones. 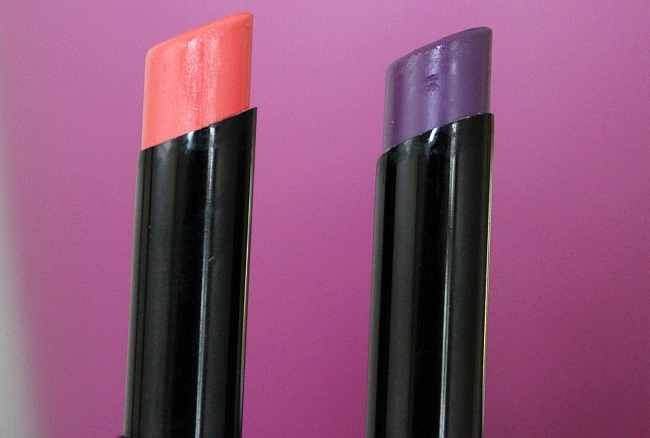 First thing that I love is that they are beautifully pigmented, the lips look juicy and feel hydrated. 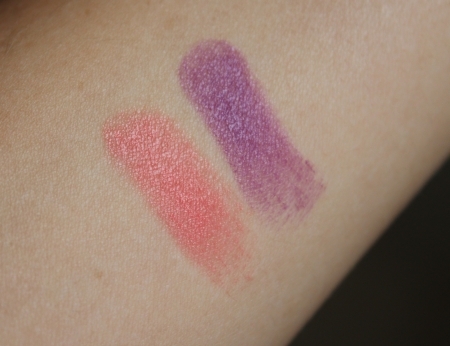 Slim Gels leave a nice subtle sheen and don't crease. 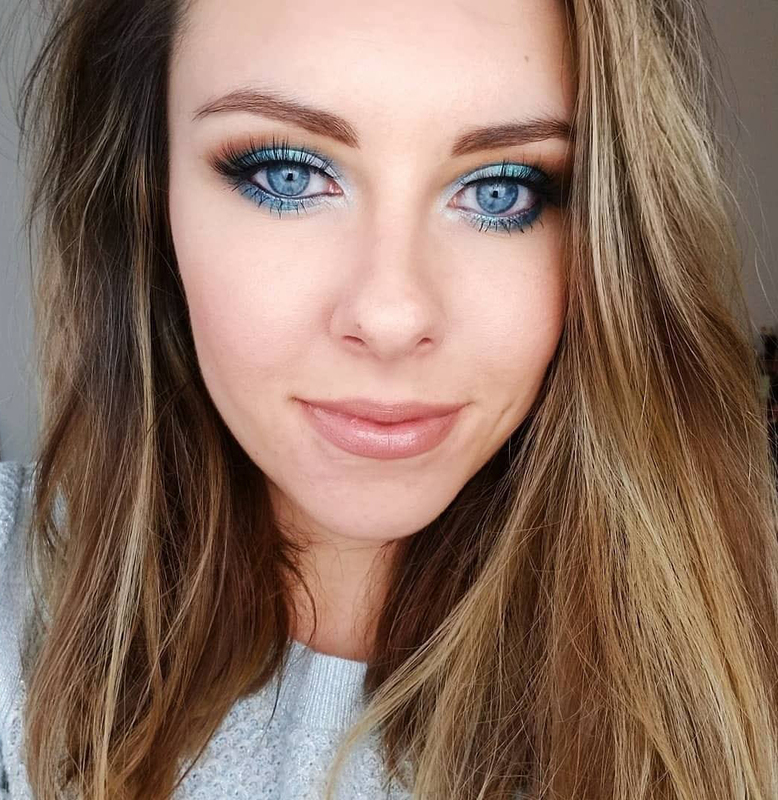 The texture is more on the gel side and feels a little sticky while applying, but I like that because the color stays in place and doesn't smudge easy. Nr 40 is a pretty, warm coral shade. It's not bright, so it's very wearable and a perfect choice for any time of the day. 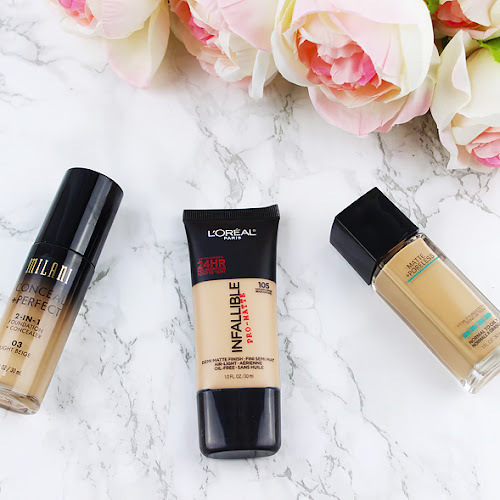 It looks great on my cool complexion, but I feel that it would look just lovely on warmer ones! 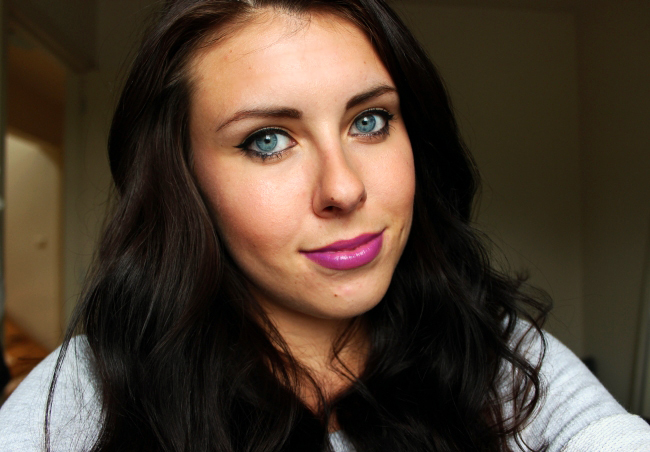 I just love these lipsticks. 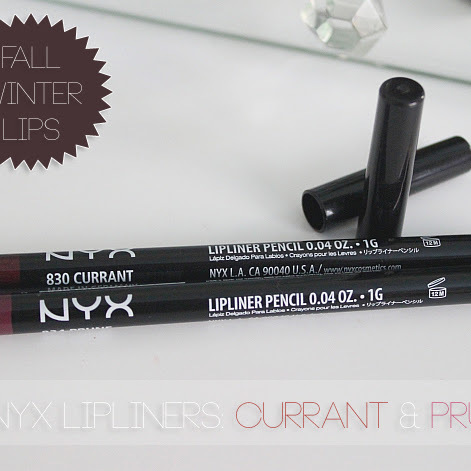 The quality is simply amazing, the classy packaging, the color pay off, stay power as well as the texture and how it looks on the lips. 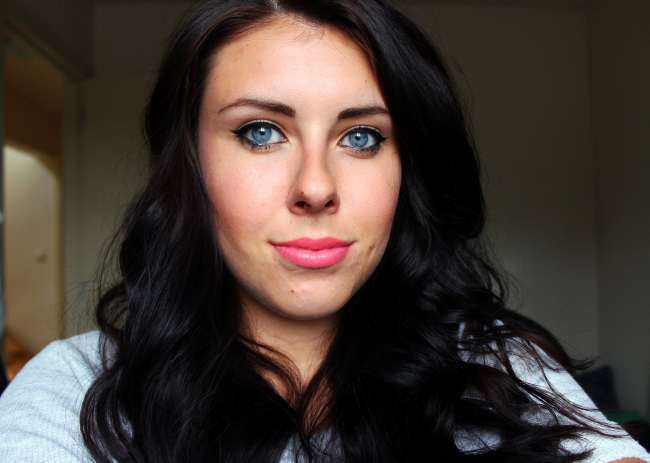 I really have nothing bad to say about Slim Gels, love them! These look gorgeous! 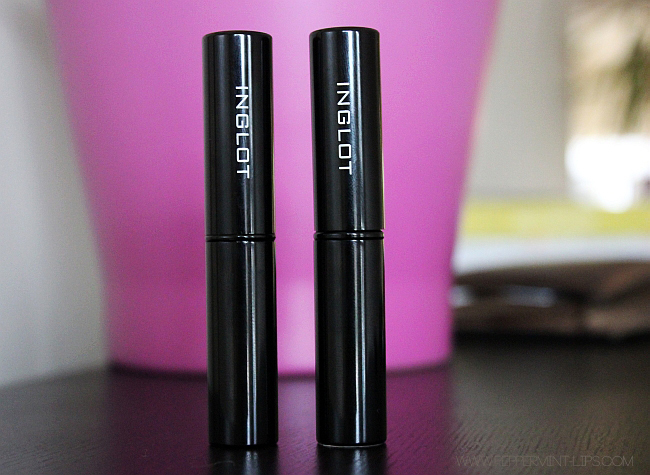 I really need to try more from Inglot.